I’ve written before that, when he was much younger, Ieuan went through a serious ‘peanut butter’ phase when literally the only thing he’d eat was peanut butter and banana sandwiches. 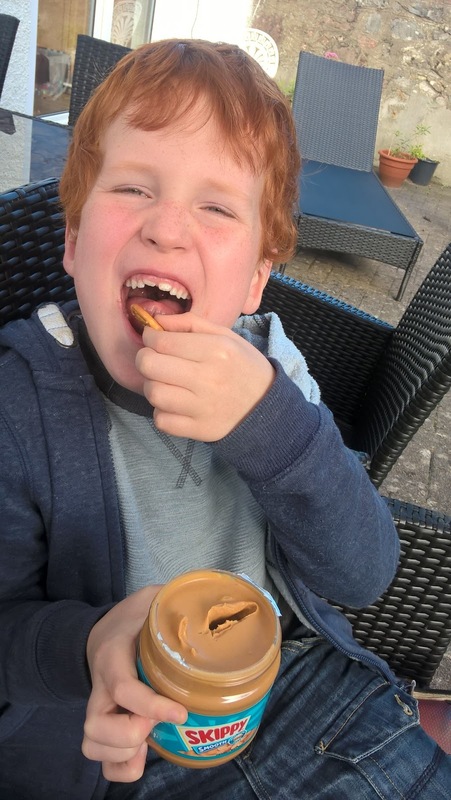 Luckily now he’s 7 at the end of June, he will eat foods of a colour other than brown, but his passion for peanut butter hasn’t abated – and neither has mine. I’d happily eat it off the spoon. Actually, in one of my panic sessions about Ieuan’s nutrient free diet, a vegetarian friend of mine pointed out that peanuts are packed with protein – just 1/4 of a cup contains 19% of the recommended daily intake. Plus peanuts are rich in monounsaturated fats which have been shown to decrease the risk of cardiovascular disease. So Ieuan wasn’t doing so badly after all! If you are considering giving peanut butter to your kids, here’s the NHS’ advice. You can, of course, also cook with peanut butter – peanut chicken satay, peanut butter cookies, even peanut butter fudge! 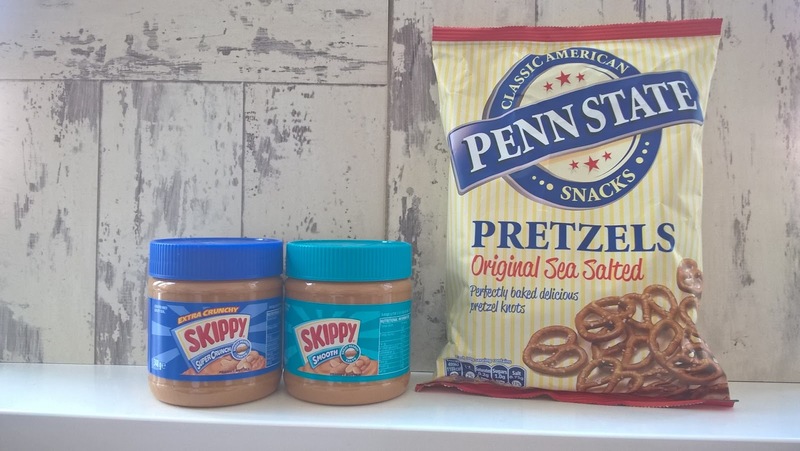 Our favourite brand of peanut butter is Skippy® which we load up with at our local Costco but you can find it in most supermarkets and I have 5 sets of peanut butter and pretzels to give away so that you can watch the Euros whilst snacking on something nutritious, or if you’re avoiding the footie, whilst wading through the box set of your choice. Each prize contains two 340g jars (one each of the following) and bag of pretzels to dip. Skippy® Super Chunk® Peanut Butter – every jar is blended with loads of real peanut pieces so you get the fun flavour of SKIPPY® Peanut Butter, plus crazy amounts of crunchiness. Skippy® Creamy Peanut Butter Spread – the smooth, creamy cousin of Skippy® Super Chunk® – and our favourite. Find out more at www.peanutbutter.com where you can find a great range of snacking suggestions. To enter the giveaway, simply click on the Rafflecopter below. UK entrants only. Terms and conditions apply. The giveaway ends at 11:59 pm on Sunday 10th July 2016. "Tips To Make Your Family Holiday As Stress Free As Possible"
"Relationship Dilemmas – What Was I Asked In Week 24?"